I found an altered art bottle project that I wanted to try. Wasn’t sure exactly what materials were used in the project, so I came up with my version (tutorial for project will come later). First things first is, I needed aged fabric strips. 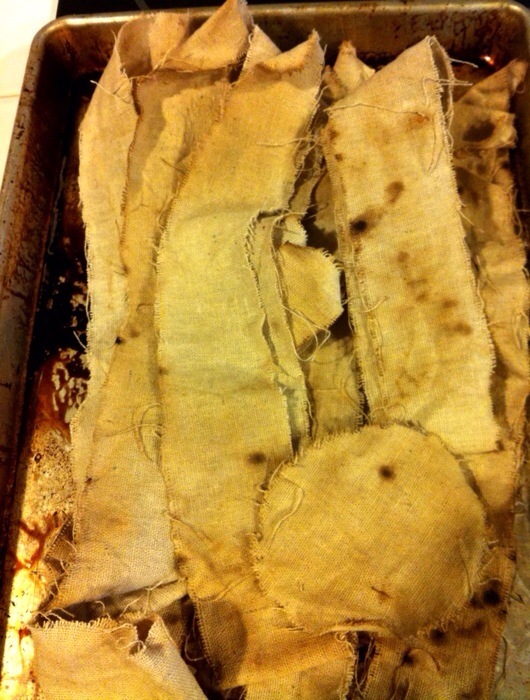 So I made some using muslin strips, and instant coffee. Preheat your oven to300. 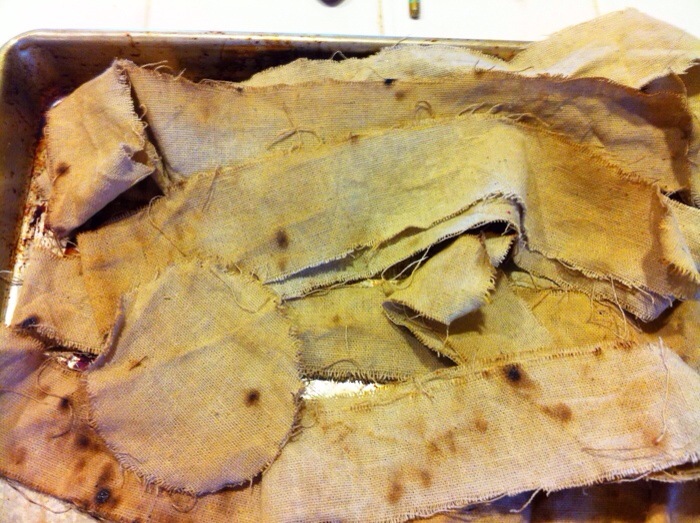 Then cut your strips of fabric, approximately 1 1/2″ x 12″. Cut 5-6 pieces. 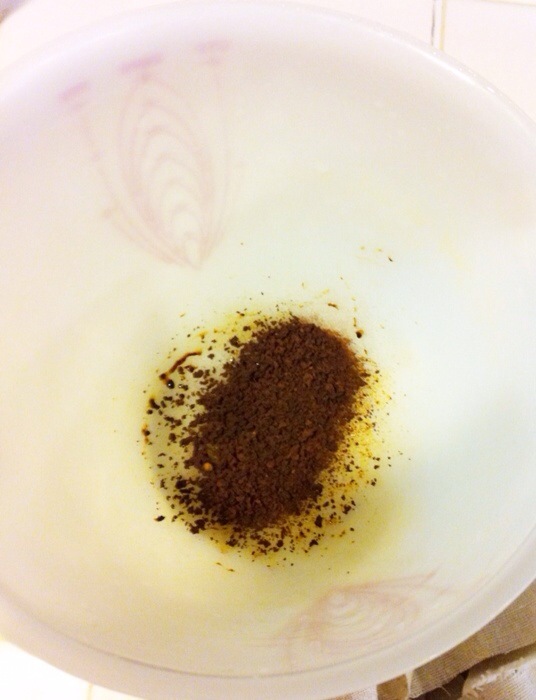 Put one tablespoon of instant coffee granules in a large bowl. 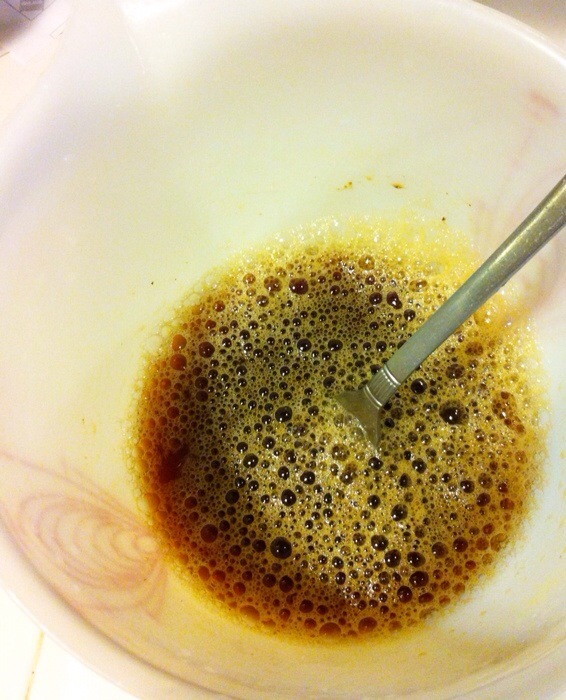 Add 2-3 cups of water, and stir. 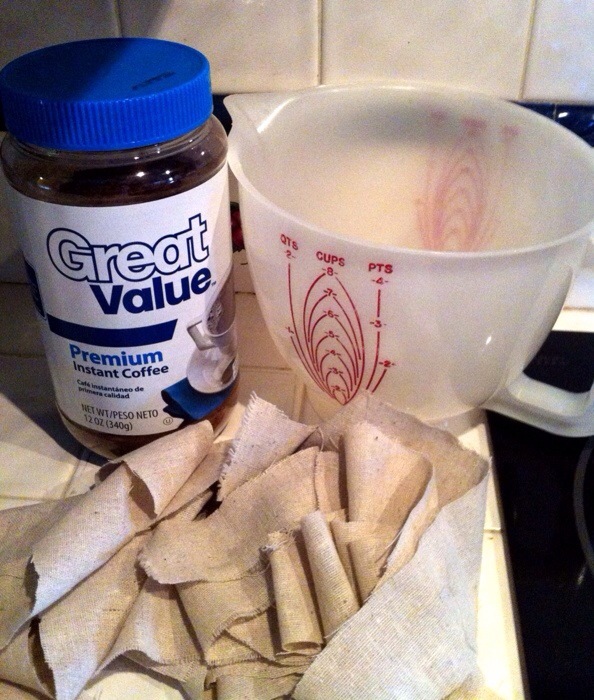 Drop your fabric strips into your bowl of coffee, and stir to cover fabric. Let sit few minutes. Then squeeze excess liquid out, and drop back into bowl. 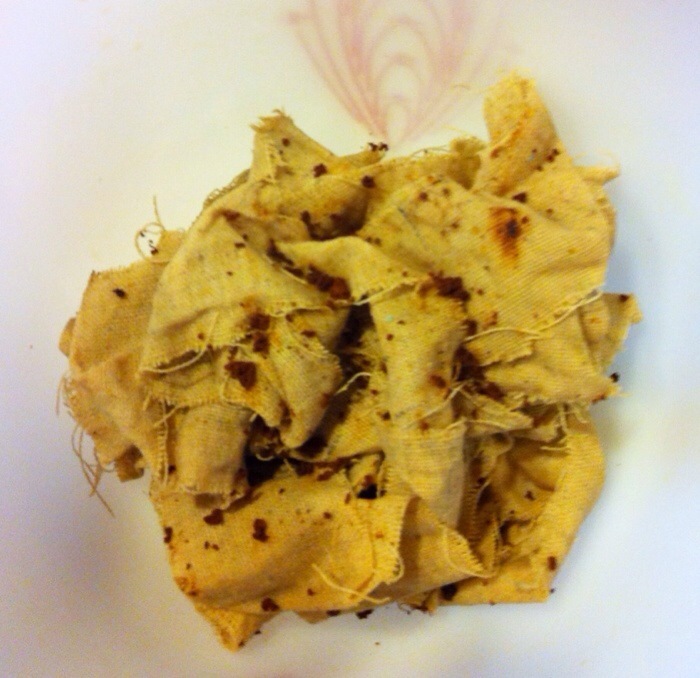 For a few darker age spots sprinkle 1/4 teaspoon of coffee granules over strips. 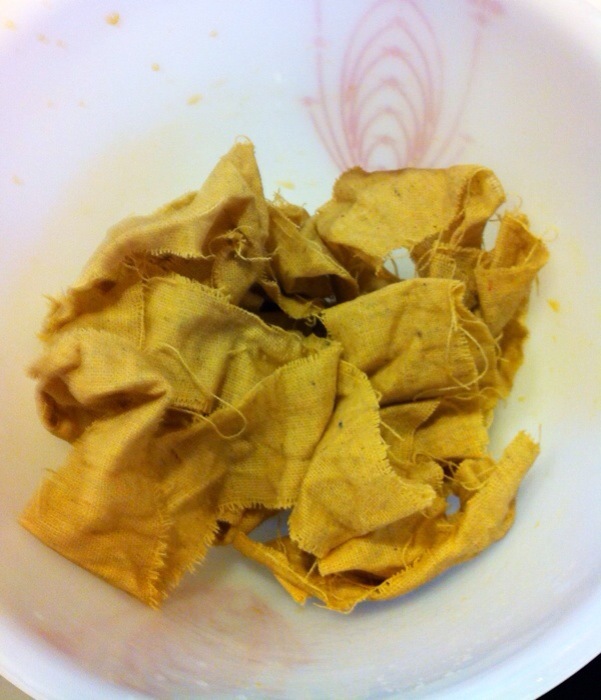 Using your hand just give it a toss in the bowl so the granules will get onto the other fabric strips. Let sit a few minutes. Then shake off excess granules. Spread your strips out on a cookie sheet. Doesn’t hurt if they over lap some. Turn oven off and place cookie sheet in oven till strips dry, approximately 10-15 minutes. Once dry your aged fabric strips are ready to use in any of your craft projects. 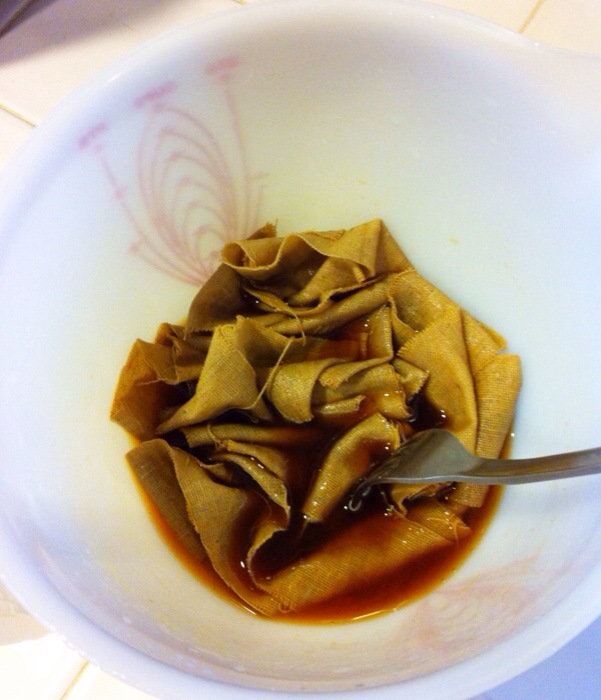 You can dye a large piece of fabric the same way,if you want it lighter use less coffee, and darker use more. Check back later to see what I made with my aged fabric strips.